Michael Pahides | Econsult Solutions, Inc.
Michael Pahides, M.S., is Senior Advisor for Economic Development with Econsult Solutions and the Founder and Managing Director for Center of Effort, LLC in Media, Pennsylvania, and brings a breadth of expertise in workforce development, revenue growth, and business development to the team. Mr. Pahides has orchestrated public policy research projects and created partnerships and consortia utilizing technology transfer models, addressing how technology impacts job design, and how educational programs should be structured in order to meet market needs. He has spearheaded a number of innovative strategies to increase organizational and business development for clients such as the Delaware Valley Industrial Resource Center (DVIRC) and the Collegiate Consortium for Workforce and Economic Development. He is consulting with both organizations on their US DOE Energy Efficient Building Hub (EEB Hub) project work. Mr. Pahides has crafted policy and programmatic recommendations related to new product and technology development, transfer and commercialization issues in small and midsized manufacturing companies for the PA Industrial Resource Centers (IRC) Network funded by the PA Department of Community and Economic Development. State officials recognized the need for PA manufacturing companies to increase their new product development and saw technology transfer as a key strategy to support business growth. 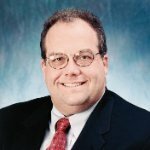 Additionally, he has research and program implementation experience focused on technology transfer service delivery models and approaches used by the US DOD (Navy) and Federal Labs systems as well as addressing the talent development and the organizational and business competencies issues facing small and midsized manufacturing companies as they look towards new product and market development. In his prior roles, Michael provided leadership for planning, developing and directing educational programs designed to address the needs for a skilled manufacturing workforce in critical regional industry sectors such as printing, plastics, chemical, life sciences, biotech, rotorcraft, industrial systems, machine tool technology and advanced manufacturing. Michael earned a Master’s Degree in Human Resource Development from Villanova University. During his studies, he conducted social policy and program evaluations at Villanova University’s Human Organizational Science Institute. His BS degree in Psychology was awarded from Eastern University, St. Davids, PA. His prior work experience has been in both the public sector (in economic development with the Marcus Hook Community Development Corporation and the Delaware Valley Industrial Resource Center) and private sector (in Human Resources at Rohm and Haas and GlaxoSmithKline). He is an Adjunct Professor at the Campolo School of Leadership and Development’s MS/MBA Programs at Eastern University teaching Urban Economics and Program Planning, Marketing and Management graduate courses.